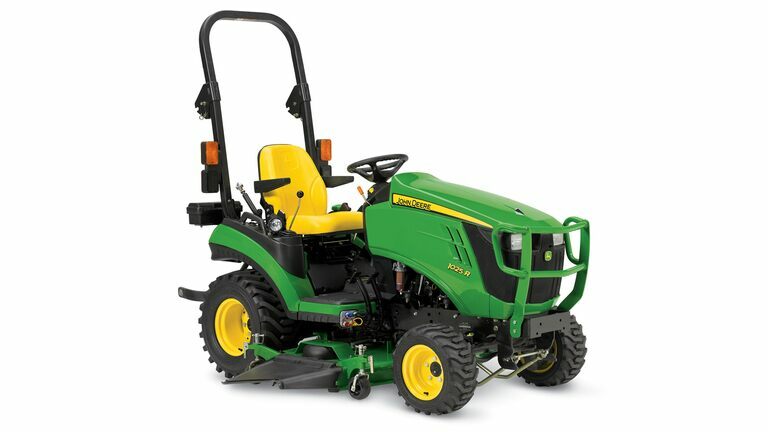 The John Deere 1 Family Sub-Compact Utility Tractor is ideal for property owners with 1-5 acres of land. With dozens of John Deere and Frontier implements, ranging from aerators to tillers, you can work your land from sunup to sundown. You can drive right over the mower deck so you can keep moving from task to task, thanks to John Deere’s exclusive AutoConnect™ technology. Getting attachments on and off takes less time with iMatch™ Quick-Hitch compatible implements. Just about everything you’ll need for a productive and rewarding day around the home. 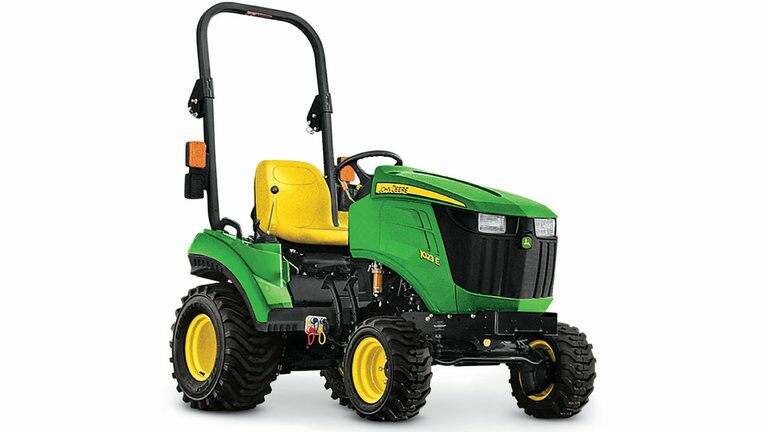 Affordable monthly payments are available on all 1 Family Sub-Compact Utility Tractors. Visit a GreenMark Equipment location near you in Indiana or Michigan to schedule a test-drive and learn more about the kinds of tasks you can accomplish around your property quickly, easily and well within your budget.